The Netherlands is one of the top tourist destinations in Europe. This northern European country hosts some of the most interesting flora and fauna. The cold northern country has deep gorges and vast verdant valleys apart from numerous small and large lakes. If you are planning a trip to the country, you will need to know all you can about the formalities for acquiring a Netherlands Visa in the easiest possible manner. The Netherlands is part of the Schengen region which covers around 26 individual European countries in it. A person with a passport from any non-Schengen country will need to apply for the relevant type of Netherlands Visa before embarking on their journey here. Although citizens of Schengen countries can travel within the Schengen area without the need for a special Visa, outsiders need to apply for a Visa, whether they are travelling for business, leisure or transit purposes. You are eligible for getting a Schengen Netherlands Visa if you have a valid passport of your home country. You will need to furnish proof of accommodation, journey details and proof of sufficient funds to cover your entire trip to the Netherlands. A Short Stay Visa is required if you are planning to visit the Netherlands for a smaller period of time. This Schengen Visa should be applied for passport holders belonging to non-Schengen countries. Business Visa for the Netherlands is required when you are planning to visit the European country for commercial profit-making purposes. This type of Netherlands Visa is valid for a period less than 90 days (3 months). A tourist Schengen Visa is issued to non-Schengen country passport-holders when they are travelling to the Netherlands for leisure purposes. This Visa is effective to stay in the Netherlands for a period less than 90 days. The Study/Research Visa for the Netherlands is needed by students and academics who wish to travel to the country for educational or training purposes. This Visa is meant for non-Schengen country passport holders who wish to visit the Netherlands for getting medical and healthcare treatments. This Visa is valid for a period of 90 days from the date of issuing. This Visa is required by those, with non-Schengen country passport holders, who have to travel to the Netherlands for inter-governmental meets, negotiations, events or consultations, etc. The first step before even applying for a Visa is to decide exactly which type of Netherlands Visa will be valid, depending on the purpose of your visit. Once you have decided the type of Visa you will need to travel to the Netherlands, then you can simply download the Visa application form from any of the online sources easily. Fill the Visa application form and attach all the required documents. Once you have completely filled the form and attached the essential documents along with it, you can post the Visa application docket yourself to the Consulate of the Netherlands in Mumbai or Delhi, or you can choose to take help from a travel agency, such as us, to ensure smooth and stress-free Visa application processing. A Visa application fee is charged at the time of submitting the Visa application. Once you pay the fee, the Visa application will begin to be processed. You will receive your Visa, if successfully issued, through express courier delivery within a few days after being submitted. What Documents Do You Need for Netherlands Visa? 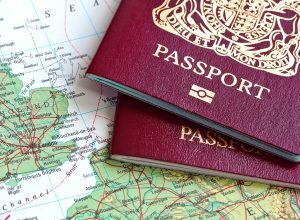 Passport – Attach original current passport, along with photocopies of all Visas that have been issued previously. The passport should have a validity of at least 3 months after the date of departure to the Netherlands. Ensure that your passport has at least 2 blank pages in it. Photographs – Attach 2 (TWO) recently-taken passport-formatted photographs with a white background. Flight details – Attach a copy of documents showing confirmed flight tickets and other details. A cover letter from the travel agency along with your itinerary is also to be attached along. Travel insurance – Travel insurance has become mandatory, especially when you are travelling to Schengen countries. Ensure that you buy an effective travel insurance policy which provides a cover of at least GBP 30,000. Proof of Accommodation – Attach documents which shows your confirmed hotel reservation for your entire stay in the Netherlands. Proof of Subsistence – Attach bank statement which shows that you have sufficient funds to help you with expenses during your journey and stay in the Netherlands. When you apply for a Netherlands Visa, it normally takes around 15 calendar days for the Visa to be processed entirely. In case your Visa application needs to be verified then this process may take anywhere between 30-60 days. Thomas Cook is a globally renowned travel and tourism company. We have been assisting travellers in getting Visas and tickets to destinations all over the world for many years now. Complete Visa Processing – We help you from the very first step to the moment your Visa is successfully delivered to your mailing address. From applying to scheduling appointments at the Embassy, we are proficient in handling each step of the Visa application process. Efficient Visa Application – With us, the Visa applicants are able to effectively track the progress of their Visa application process in real-time. Regular updates keep the applicants up-to-date with their Visa processing effortlessly. Safe and Reliable Visa Processing – We have helped thousands of tourists and businessmen to successfully get a Visa for the Netherlands. Our inherent policy of transparency and efficiency enables us to deliver highly productive services. Will a short-term Visa require me to appear for a personal interview at the Embassy? You will need to appear for a personal interview if you are applying for Schengen Visa for the first time. This is required to collect the biometric details of the applicants. In case you have already submitted your biometric details, anytime after November 2, 2015, then a personal appearance will not be required. However, in case your previously submitted biometric details cannot be retrieved by the Consulate, then you may have to appear for a personal interview once again. It is also important to remember that the Embassy has the right to call you for a personal interview as, and when, it deems necessary. The Immigration and Naturalization Service in the Netherlands is responsible for making decisions regarding issuing of long-term Visas. My passport only has one blank page. Can I still travel to the Netherlands? No, you will need to apply for a fresh passport as at least 2 (TWO) blank pages are required for issuing Netherlands Visa. Where should I apply for Netherlands Visa? You can submit your Visa application forms, along with all essential documents, at the Embassy of the Kingdom of Netherlands, in Mumbai. What is the best time to visit the Netherlands? The best season to visit the Netherlands is from mid-April to mid-October and then again in July and August, which is also the main tourist season in the country. Make sure to have your Netherlands Visa processed faster and with better efficiency always choose Thomas Cook. We have enormous experience in assisting thousands of tourists and businesspersons to get the desired Visa for the Netherlands, and other Schengen countries, effortlessly.